Baxtek Solutions,Vocollect Voice-Directed Warehouse Solutions. IntelliTrack® is being used by emergency medical teams, construction companies, laboratories, insurance companies, law offices, government agencies, mom and pop companies, the fortune 500, and others kinds of organizations to control, track, and manage anything that can be barcoded. It's uses are universal and are limited only by the imagination. IntelliTrack is a leading provider and developer of comprehensive off-the-shelf software systems that integrate bar code, RFID, batch and WiFi data collection. More than 12,000 small, medium and large organizations track their inventories and assets with IntelliTrack applications.. With a network of Certified Partners and a distribution channel, IntelliTrack is available throughout the world. IntelliTrack's software is used by almost every conceivable type of organization, large and small, to make more efficient required tracking tasks. See the status of any asset. View an asset's history. Look at assets by location and much more. Find out what is missing, has been moved, is new, and what has been found. 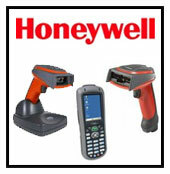 Point and scan to conduct an inventory or move assets. Know exactly when an item was purchased, inventoried, or added. You will know who has control of an item and when and where it has been. It helps to track down those hard to find or missing items. You can manage and unlimited number of items in unlimited sites and locations. Five kinds of depreciation are supported, including straight line depreciation.